1. Explain why a physician practice CDI program is warranted. 2. Consider the resources needed to create a physician practice CDI program. 3. Identify the steps to initiate a CDI program in a physician practice. Dr. Lisa L. Campbell, PhD, is a multi-faceted health care professional with 27 years of experience working with and in physician offices and other health care settings. Having a passion for working with physician practices and their staff, Dr. Campbell enjoys helping providers improve their operational effectiveness with a focus on documentation improvement and integrity. 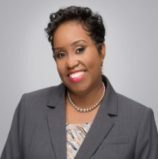 Dr. Campbell is President/CEO of Physician Practice Resources, Inc., which is a certified Women’s Business Enterprise (WBE) located in Matteson, IL. Access instructions will be provided in confirmation email. For technical assistance with the webinar, please contact [email protected]. You will have 60 days to access the course content. On demand webinars are non-refundable.